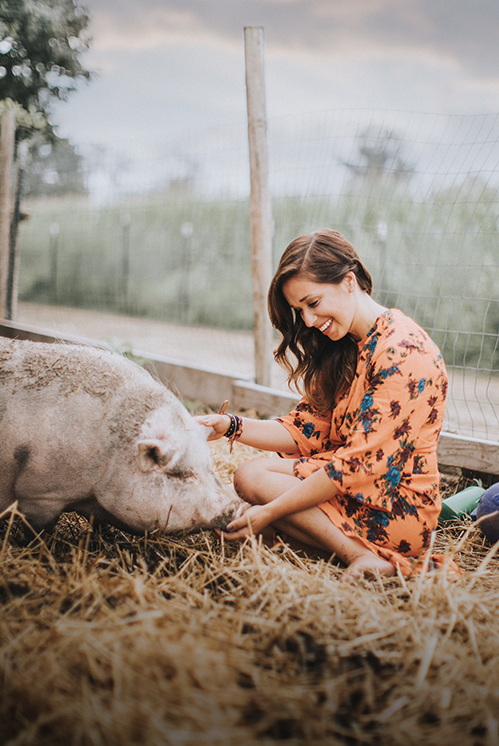 Cameron has been a lover of all things having to do with animals since she was a child. She even volunteered at a local veterinary office when she was in middle school. 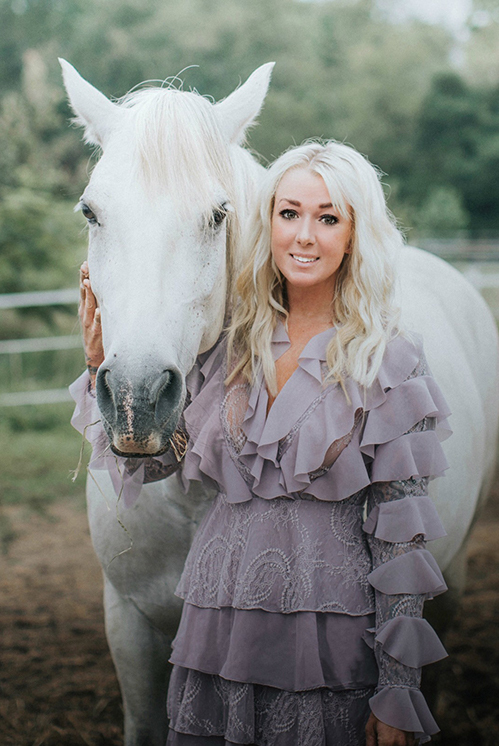 She found herself at Rancho Relaxo’s very first rescue bash through mutual friends and the rest is history. She works hands on with all of the animals under Rancho Relaxo’s care. 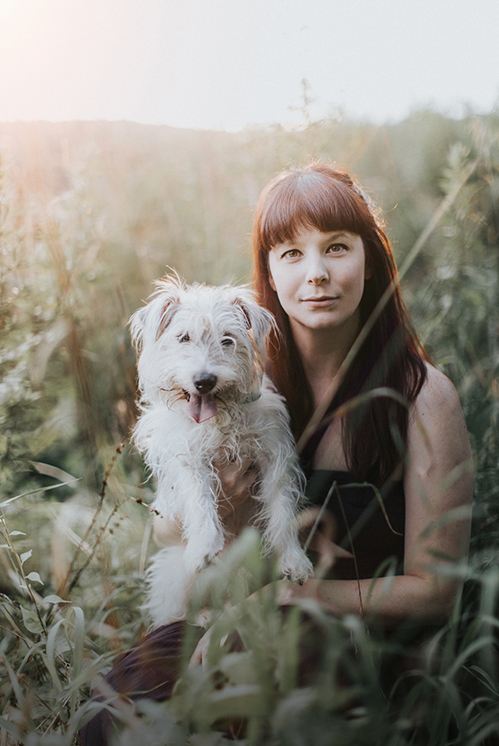 One of her greatest memories is of her best friend growing up – a Jack Russell Terrier named Pukka who lived to be 19 years old. 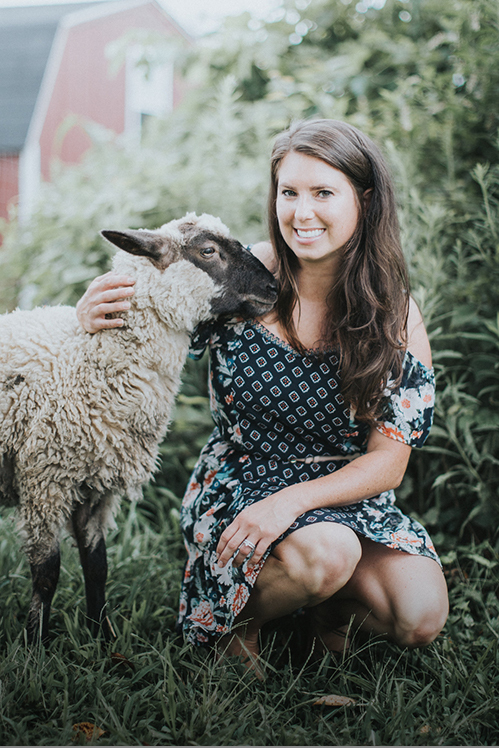 Pukka instilled a solid foundation in Cameron when it comes to her knowledge of animal care. 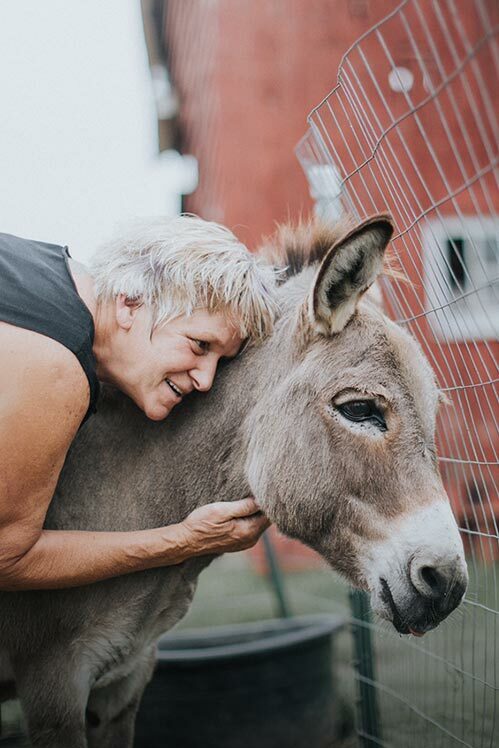 Even today, her previous partner in crime, Pukka, motivates and inspires Cameron to be the best human she can be for all of the animals who need her. Karen battled addiction for a small chunk of her life. She pushed through it and became a much stronger person because of it. She uses this triumph as fuel to care for each and every animal who crosses her path through Rancho Relaxo. Karen owned a beautiful home in Florida and planned on retiring shortly after this property purchase. 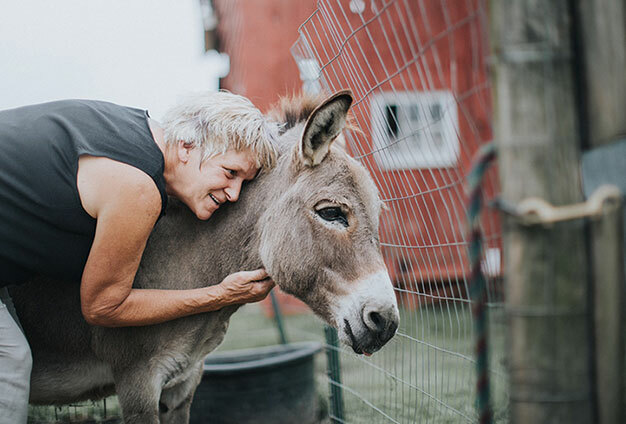 When the opportunity arose for her to move up to New Jersey to become a live-in caretaker for the animals, she didn’t hesitate to leave her cozy life in Florida behind. She volunteers all of her spare time by looking after Rancho Relaxo’s residents on a daily basis. Jessica doesn’t go a day without figuring out different ways to better the world. She splits her free time four ways – volunteering at a popular dog rescue in Brooklyn, traveling, working on marketing techniques for Rancho Relaxo and hanging out with her rescued canine soulmate, Mildred. Jessica also takes Mildred to work with her every single morning – riding the train back and forth. All of the animals under Rancho Relaxo’s care know Jessica as Aunt Jess and each one expects special attention whenever she visits. She has no fear and isn’t scared to get dirty – literally. She can show up in her best outfit and she will still be found in the mud with the pigs. Justin became Rancho Relaxo’s second official volunteer ever – shortly after his wife, Caitlin, became the first. 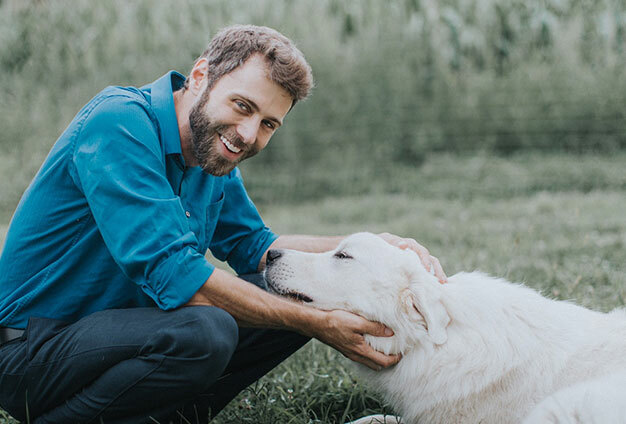 Justin has always loved animals very much but never connected on a deep level until he had to care for his own animal family. 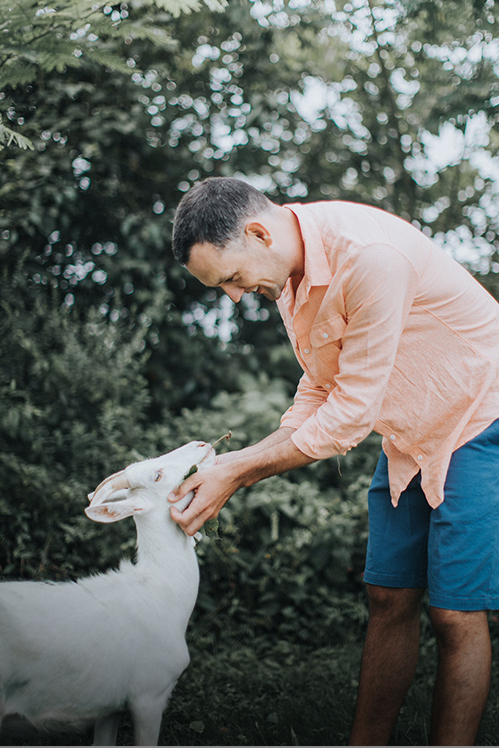 Since becoming a volunteer at Rancho Relaxo, Justin has aided in multiple rescues – and even adopted a handful of babies himself. Three of those babies being Nubian kid goats who came from a dairy farm in Texas. They were being discarded since they were boys and couldn’t provide anything valuable to the farmer who originally had them. Justin continues to strengthen his animal rights stance by attending conferences and living a compassionate lifestyle. Gustave never had an animal in his life until he became involved with Rancho Relaxo. 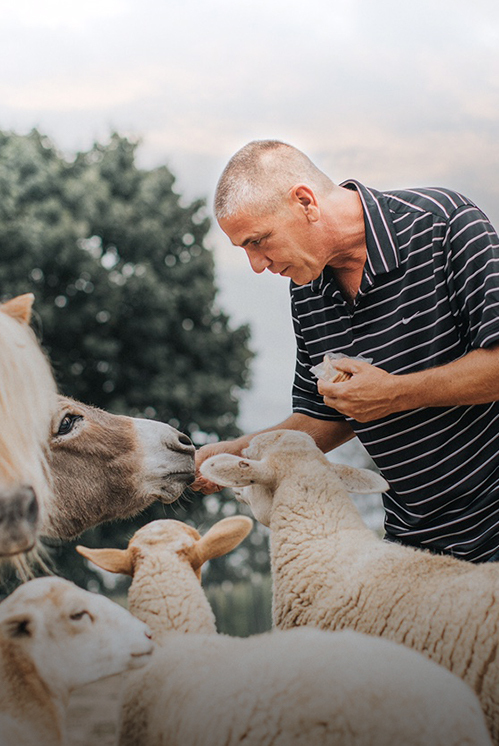 He originally was staying at Rancho Relaxo’s home base with his family to rehabilitate himself but ended up staying to help rehabilitate hundreds of animals over the years – and counting. He is in charge of grocery shopping for all of the animals and never skips a beat! He is also known as “The Muffin Man” due to him sneaking crumbles of muffins to the flock of chickens, ducks and turkeys at Rancho Relaxo. Eric joined Rancho Relaxo’s team shortly after Karen did, following in her footsteps all the way from Florida. 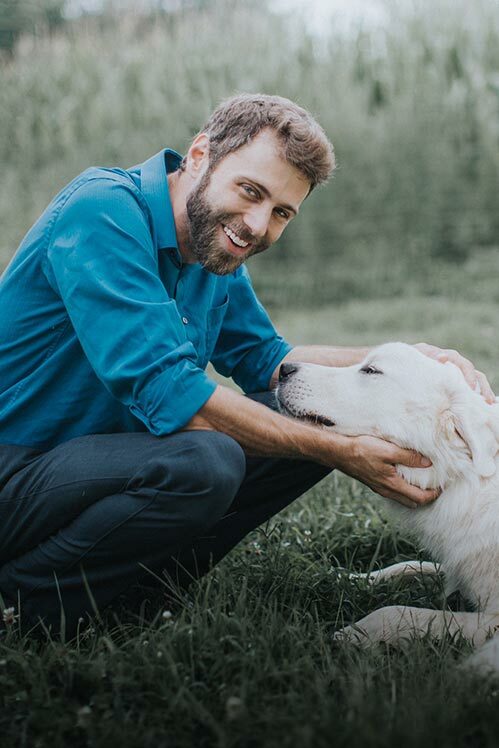 He has been rescuing dogs from horrible situations his whole life but never expected to end up on a farm sanctuary as its live-in animal caregiver and groundskeeper. He knew he was in the right place when he took full responsibility in raising an orphaned piglet named Elmer who ended up at Rancho Relaxo after extremely devastating circumstances. 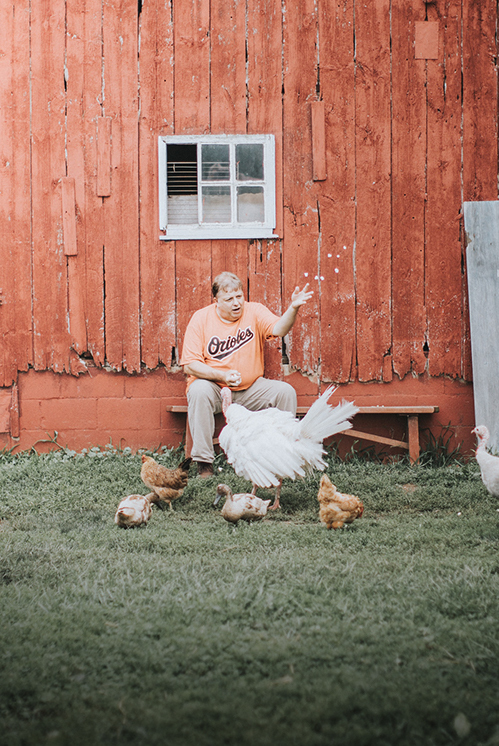 He was overly worried and prepared himself for the worst but Elmer thrived under Eric’s care and they became best buds within weeks of meeting each other. Henry has loved animals his entire life but did not fully make the connection to all creatures, big and small, until 2012 when he was on vacation. He got the sudden urge to not enter a place that exploits animals for entertainment. 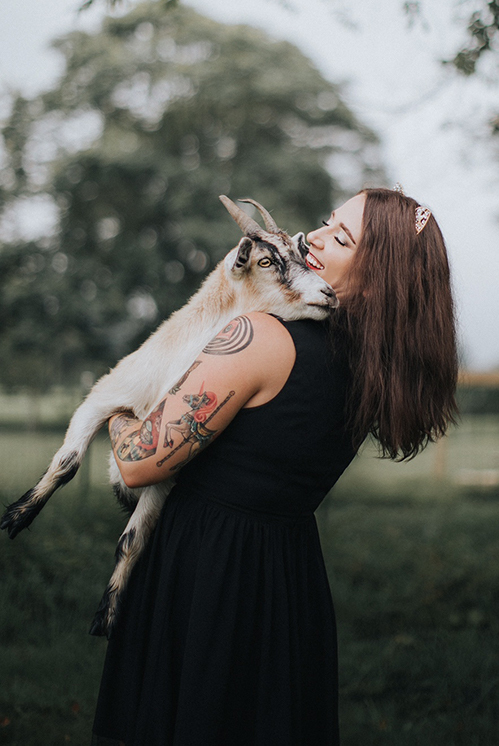 When he got home, he dove headfirst into the world of animal rescue which led him to take up a cruelty free lifestyle. 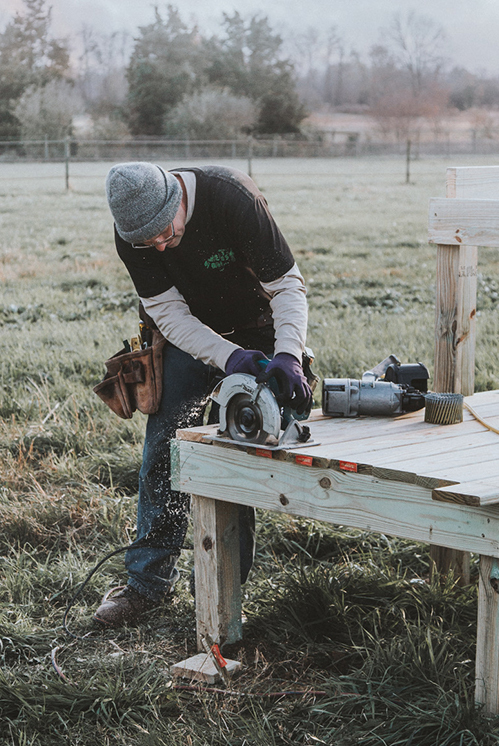 Henry uses his carpentry skills to give back by building goat playgrounds, pig huts and so much more. Henry’s heart shines brightly in all aspects of his life. He recently adopted an elderly woman, who was once a stranger, as his own grandmother and spends a lot of his time just conversing with her due to the lack of human contact she receives otherwise. Sammantha is a lifelong animal lover. Something like her infatuation with animals cannot just appear overnight. It is something one has to be born with. 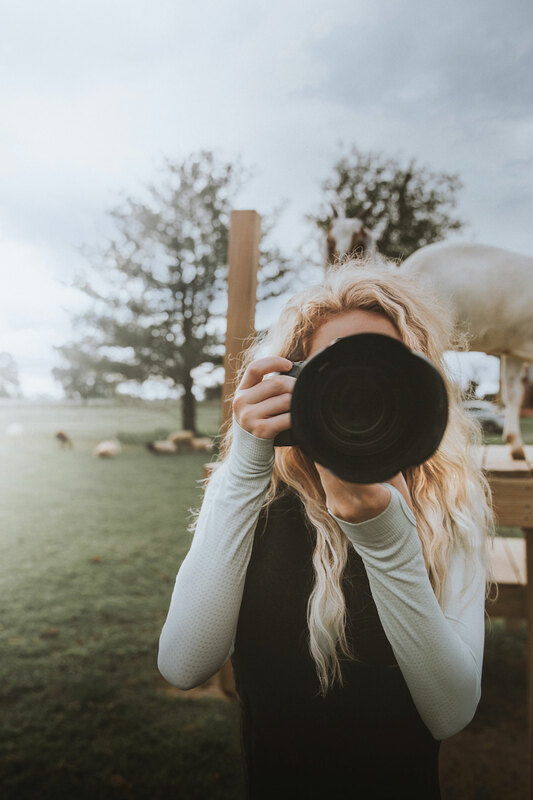 She travels the world taking photographs of animals at various different animal sanctuaries to help instill the fact into the minds of the public that ALL animals are sentient beings and they all deserve respect. Her work has been plastered on billboards, used in animal rights campaigns and featured in National Geographic. When she is home, which is rarely, she spends her time in the wooded areas behind her place of residence, speaking to the deer and raccoons who understand her language perfectly enough to walk right up to her.